Binsar is located proximate to Almora and is a beautiful, scenic place which provides a stunning view of the Himalaya mountain range. It also served as the summer capital of the Chand kings. An adrenaline-inducing trekking expedition to Zero Point is well worth the expended energy as it offers a panoramic view from a tower of a distance of around 25 km. It is the best spot to view a sunset or sunrise. The nearby jungle is also a great place to go adventure hopping for its varied flora and fauna. Other recommended time to visit is from the month of October to March. Opt for a guided tour. Trekking is the best way to reach the summit. Buses ply to the spot. 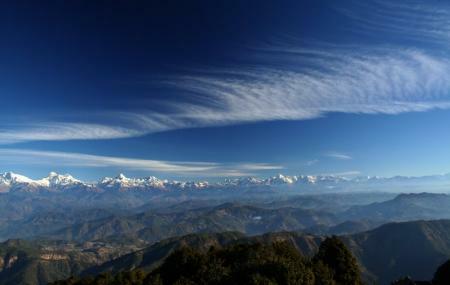 Taxis also ply to Binsar. How popular is Zero Point? People normally club together Kasar Devi Temple and Katarmal Sun Temple while planning their visit to Zero Point.